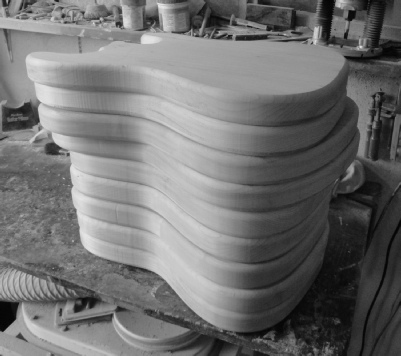 My guitars are completely hand built, both body and neck are painstakingly hand crafted to exacting vintage dimension and detail. 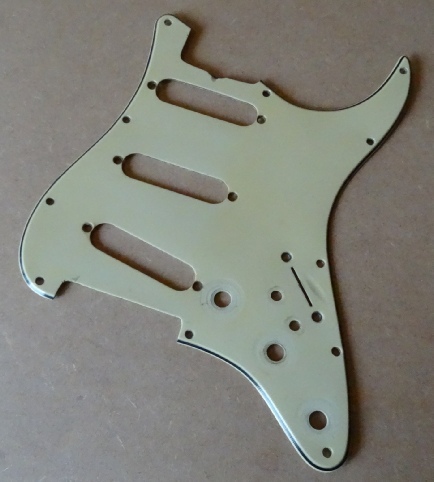 Over the years I have done much restoration work on real pre-CBS instruments, this has given me an incredible insight as to how these classic vintage Fender guitars were made and assembled. 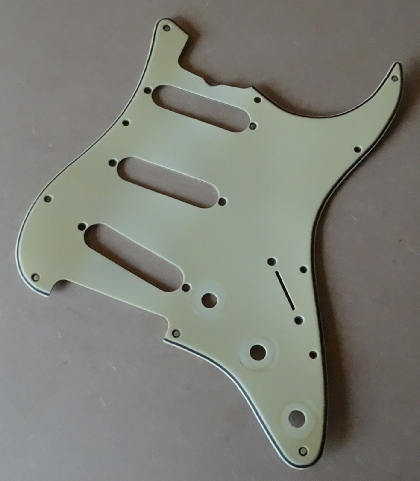 The templates I use were made using the real vintage instruments as a guide, therefore I can confidently say...the only way to get closer is to buy a real one! 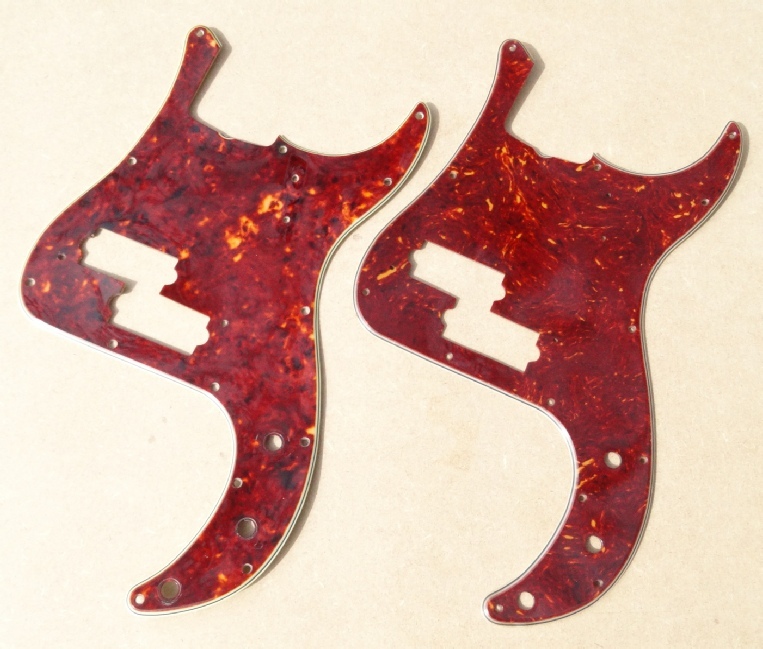 Here’s another pickguard example...the guard on the left is an original ‘63 Precision bass pickguard, the one on the right a Bravewood...again, made from 4 ply material the same thickness and colour, the tortoise shell material I use is actually nitro-celluloid, cut to the same dimension and also featuring the correct 30 degree bevelled edge. 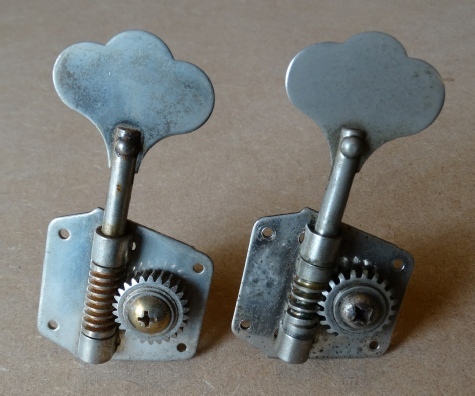 Aged ‘reverse’ bass tuner on the left (Gotoh repro)...and the real thing on the right (1962 Kluson original). 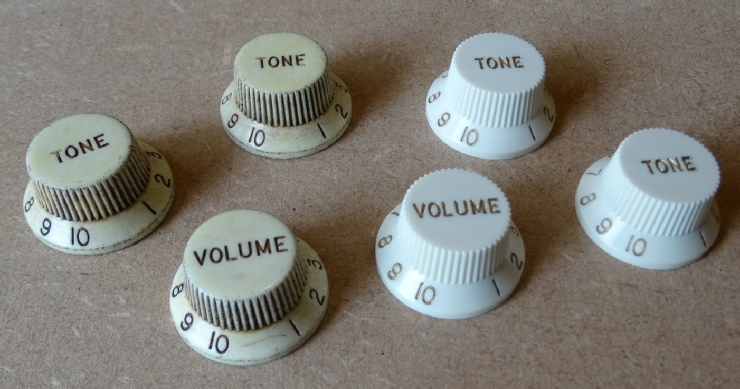 This type of tuner appeared from 1951 and up until around 1967. 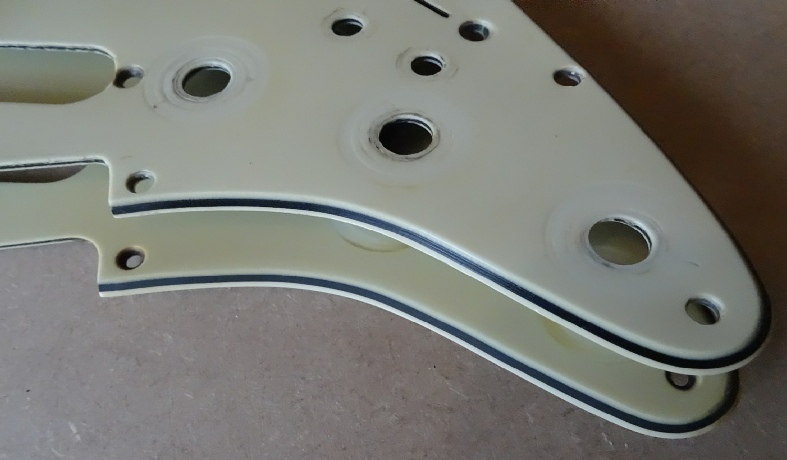 There were subtle changes along the way, but the design by and large remained unchanged until the introduction of the ‘lollipop’ or ‘oval’ tuners, first introduced on the ‘66 Jazz Bass, then later on other models, this was fairly short lived as it was replaced by the updated forward tuning ‘elephant ear’ tuners introduced in mid ’68. 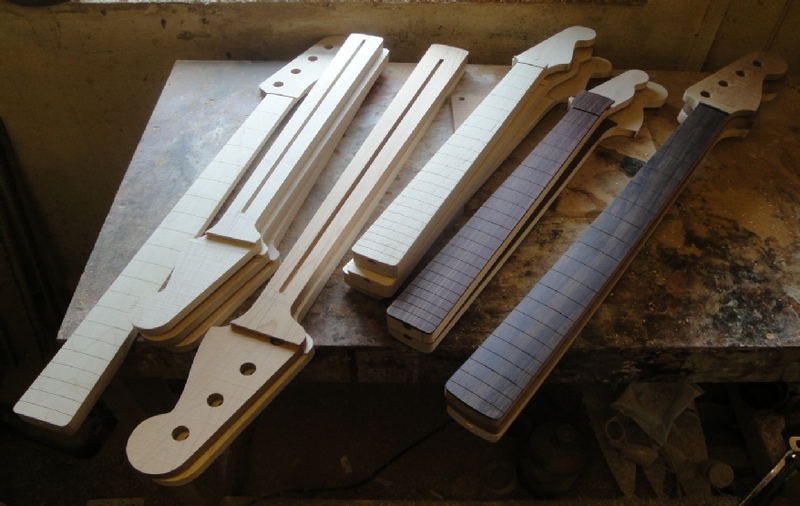 The above picture shows numerous necks/neck blanks at various stages of completion, I offer all types from one piece with walnut skunk strip to slab board...and even the later ‘veneer’ type board, either rosewood or maple cap.